RSVP before Friday, April 11 at 5 pm here. Learn how to identify and resolve accessibility elements during early design development. Learn the history of universal design in the U.S.
Bring copies of your current or past design drawings, and we'll help you incorporate elements of accessibility and universal design (optional). 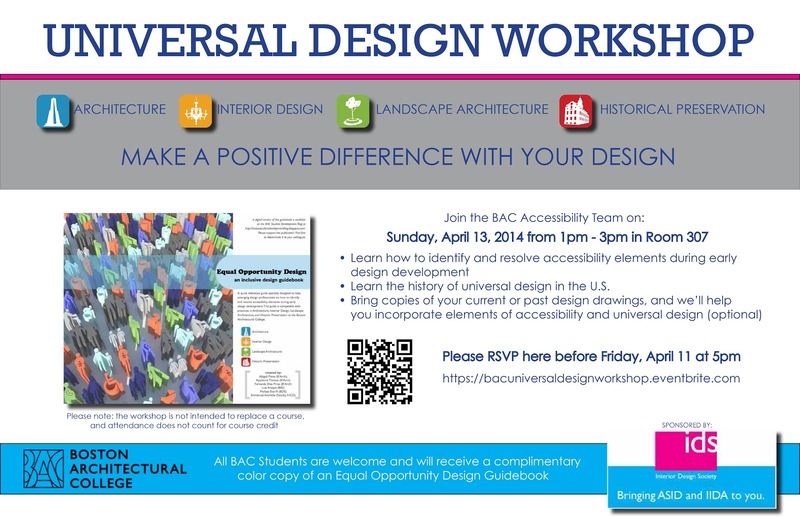 All BAC students are welcome and will receive a complimentary color copy of an Equal Opportunity Design Guidebook. Please note: the workshop is not intended to replace a course, and attendance does not count for course credit.